Dimensions 0.49 by 6.69 by 9.61 in. Âad i druk Tow. Akc. 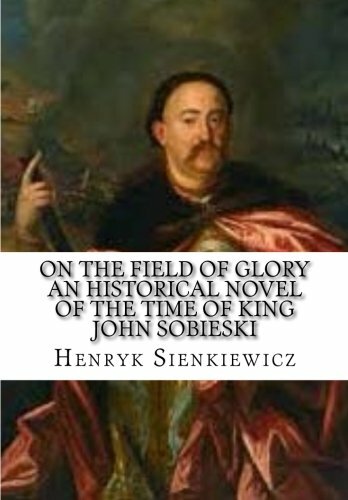 S. Orgelbranda SynÃÂ³w, Warszawa, 1906.
from Bibliobazaar (August 31, 2008); titled "On the Field of Glory: An Historical Novel of the Time of King John Sobieski"
Large print edition from Bibliobazaar (August 31, 2008); titled "On the Field of Glory: An Historical Novel of the Time of King John Sobieski"
from Kessinger Pub Co (July 31, 2004); titled "On the Field of Glory: An Historical Novel of the Time of King John Sobieski"
from Createspace Independent Pub (December 7, 2015); titled "On the Field of Glory: An Historical Novel of the Time of King John Sobieski"
About: On the Field of Glory (Polish: Na Polu ChwaÅy) is a historical novel by the Polish author Henryk Sienkiewicz, published in 1906.
from Createspace Independent Pub (August 3, 2015); titled "On the Field of Glory: An Historical Novel of the Time of King John Sobieski"
from Rogers Pr (May 31, 2008); titled "On the Field of Glory: An Historical Novel of the Time of King John Sobieski"
About: Many of the earliest books, particularly those dating back to the 1900s and before, are now extremely scarce and increasingly expensive.